Align your company with BISCAYNE BAY FOUNDATION to help spread our shared message of a healthy planet. Why Does a Healthy Ocean Matter to Your Company? 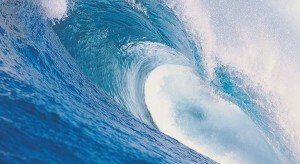 The ocean covers 70 percent of Earth’s surface and contains 97 percent of the planet’s water. More than 50 percent of Americans live within 50 miles of the coast and 180 million people visit the coasts each year. The ocean produces half of the world’s oxygen. That means half of every breath you take comes from the ocean. More than 1 billion people depend on fish from the ocean as their primary source of protein. A healthy ocean fuels sustainable businesses and a strong economy in industries such as seafood, tourism, pharmaceuticals and shipping. Several studies estimate the total economic value of the ocean to exceed $20 billion per year. Pollution, overfishing and habitat degradation diminish that value. Although the threats facing the ocean seem daunting, simple changes in human behaviors can have profound impacts on the health of our ocean and the communities that depend on it.